Wooded 4 acres on on a private stretch of Fish Creek. Just 1.5 miles north of Wilson on Fish Creek Road. Western boundary is approximately 560 feet of ownership down the middle of Fish Creek. The homesite sits well above a gentle side channel of the creek. There is an island. 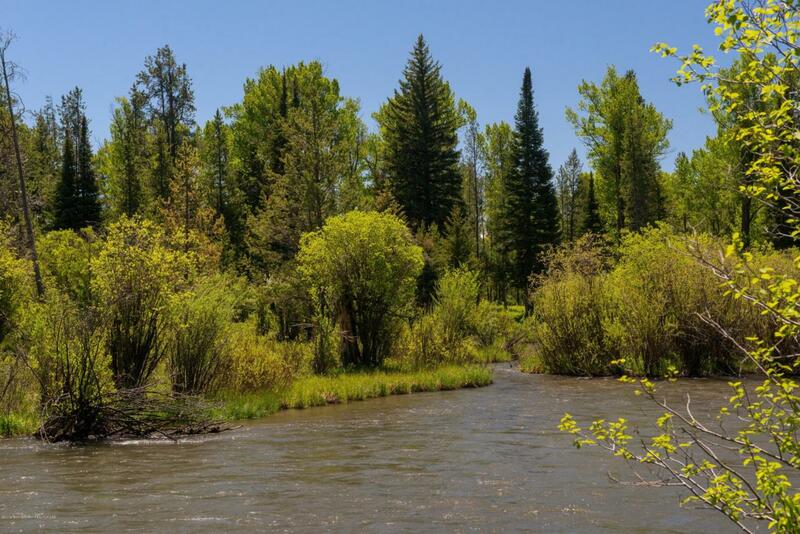 Mature pines, aspens, cottonwoods, willows, & chokecherries.Abundant wildflowers and wildlife. Views of the Ski Area, and the Wilson Faces. Large level building site. Charming, quiet neighborhood. Easy walk to the National Forest. Accessed via a tree lined country drive. Listing provided courtesy of Scott Albrecht of Jackson Hole Sotheby's International Realty.